Carol is in fear of her life. Threatened by her crazy ex-boyfriend and with no help from the police, she goes online and pleads for help from a handsome ex-Navy SEAL. Lance Decker was awarded the Navy Cross for acts of bravery during his time with the SEALs, but now he feels betrayed by the system. He suffers from Post-Traumatic Stress Disorder after witnessing terrible events and is now without a job, broke, and about to lose his home. He posts a rant on YouTube, and suddenly a stream of women email him offering him dates. Carol is one of those women. But she isn't looking for a date. She is attracted to his passion and personality. When threatened by her ex -boyfriend, she turns to Lance for the other thing he can offer - protection. In desperation, she proposes a very unusual arrangement. Note: All Trish Adam's short stories are clean military romances. Only bought because of length of time for my commute. Unbelievable even for a 13 year old and that’s a stretch for a 13 year old. Eyes rolling the whole drive. Kept waiting for it to get better it never did. 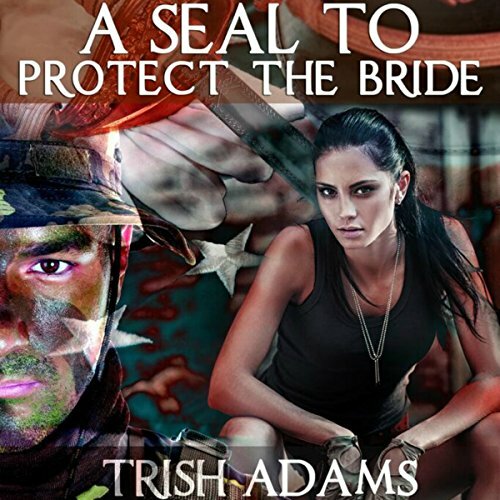 Where does A SEAL to Protect the Bride (Clean Military Romance) rank among all the audiobooks you’ve listened to so far? The story is engaging and progresses well. What about Stephanie Summerville’s performance did you like? Very engaging performance and dulcet tones. Excellent interpretation of the material. Gave action to the narrative. SEALs can help... in more ways than one.